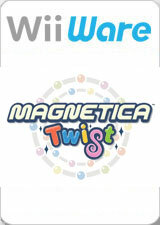 Magnetica Twist (known in Japan as Minna de Puzzloop (みんなでパズループ) and Actionloop Twist in PAL regions) is a puzzle game, released as part of the Touch! Generations series. The game was developed by Mitchell Corporation and published by Nintendo, and is based on Mitchell's 1998 arcade game Puzz Loop. The game was first revealed at Nintendo Japan's 2006 Conference. Upon launching the game, in OpenGL mode it will show major graphical glitches and is unplayable. 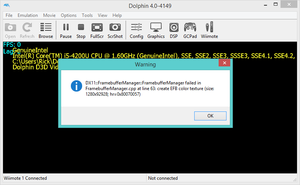 Set External Frame Buffer to Real to fix this. Fixed with Hybrid XFB in 5.0-5874. The graph below charts the compatibility with Magnetica Twist since Dolphin's 2.0 release, listing revisions only where a compatibility change occurred. This page was last edited on 23 May 2018, at 13:58.